Our single rooms are located on the first and second floors. 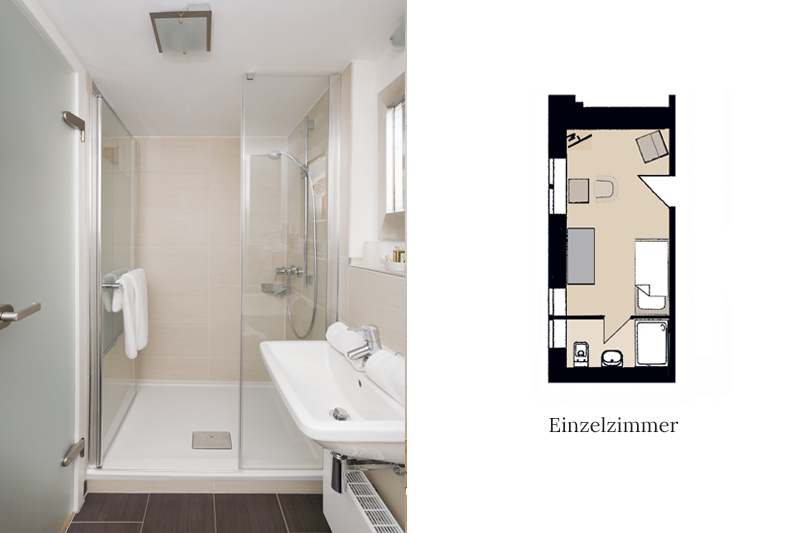 The single rooms offer a panoramic view of Lake Constance and the Alps. The room sizes are between 12 m2 and 14 m2. The light rooms have modern furnishings and help to ensure your sense of well-being with natural wood floors, flat TV/radio and high-quality mattresses.